My first SK-II product was Advanced Eye Treatment Film. Started using it since last year September. I am now on second tube. Usually the beauty consultant will tell you a full size (15ml) eye gel/cream will last you 3 months, but this eye gel from SK-II could last me 5 months! Yes, you read me right, 5 months. Although it is in gel form, it is not watery. I use it twice a day, morning and night. The amount I apply is slightly bigger than a grain of rice, and that is enough for both eyes. I don’t see any big improvement on my dark under eye circles, but the skin around my eyes is not so dry anymore. 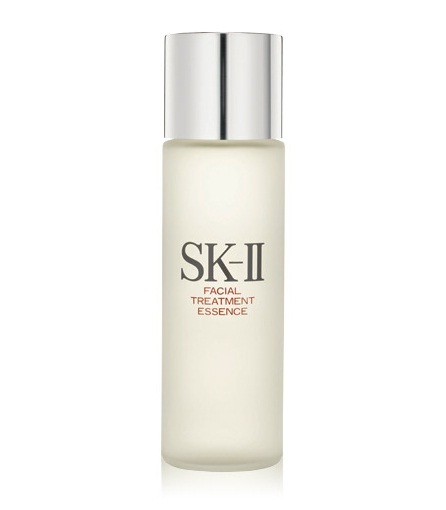 I’ve been helping my sister buying SK-II Facial Treatment Essence. I never had the urge to try until last year. My uneven skin tone became pretty visible. I also noticed the pores were getting larger. I realised that the amount of foundation that I had to apply was getting heavier. Every morning I woke up to enlarged pores and dry skin. Was pretty sad that my skin condition was deteriorating. I’m only at my early 30’s, why I age so fast??!! *Cries* :( I used to have good skin, but I guess you can’t fight the ageing process that’s happening every minute and second. Early this year, I finally managed to buy the Facial Treatment Essence trial pack that costs RM199. It comes with a 75ml of Facial Treatment Essence, a piece of Facial Treatment Mask and a 30ml of Facial Treatment Clear Lotion (toner). Now, let’s look at how I apply the essence first. There has been 2 different methods of applying the Facial Treatment Essence. Some said pour the essence onto the facial cotton and dab it all over your face. Some said pour the essence onto the palm and apply to your face directly. Those who used the latter argued that by using the facial cotton, some of the essence would be absorbed by the cotton and it is a waste. The essence is not cheap, you definitely don’t want to waste any of it. There is no right or wrong, it simply depends on how you prefer to do it. At the beginning, I used the first method, by using my palms. Kiasu mah, also don’t want to waste any of it mah. Then, when I had breakouts, I remember my sister pressing the facial cotton (with the essence in it) directly on the breakouts and it seems to soothe the skin. So, I did the same. Surprise!!! It really soothed the pimple/zit and the area was no longer reddish and swollen! Then, I decided to use the facial cotton. I’ll dab it all over my face and stays longer on the eye areas and areas that needs extra care, such as the cheeks and nose. I feel that the essence is best absorb this way. You don’t dab across your face quickly, you have to dab gently and slowly. It’s like dab-and-press. Wastage? Not really. I’ll dab around my face and neck until the cotton is totally dry, and then I’ll rub it against my elbows. :D I usually pour 2 drops, and 3 drops if I have breakouts. Also, avoid applying the essence with the fan blowing on full blast. It’s essence, but it is watery. With the wind blowing strongly the essence dry up very fast! You may think that the essence absorbs very fast but in fact, it’s been blown dry lah! That is so wasting! One bottle of 75ml Facial Treatment Essence could last me 4 months, whereby the beauty consultant told me it would only last 2 to 3 months! Gosh…… Cannot waste such an expensive stuff like that lah! Must treasure every drop of it! 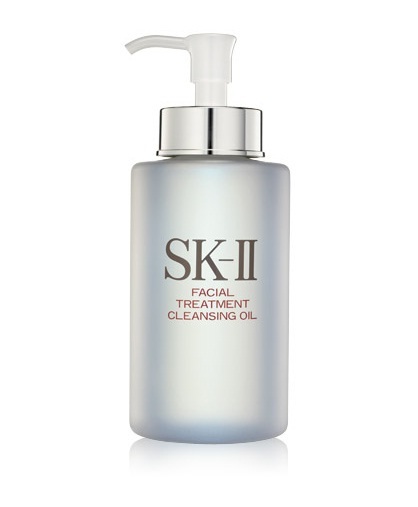 I have also bought this Facial Treatment Cleansing Oil. Hmm…… Although it cleanses pretty well and doesn’t leave my skin feeling oily, I’m not going to buy this again. It contains mineral oil. :( Found out only after I bought it! It’s weird, for such a high-end brand to use mineral oil in its products. Clinique doesn’t use mineral oil in its cleansing oil and oil-based make-up remover. This is bad coming from SK-II. So people, please read the ingredients of the product first before you purchase. If you’re sensitive to any particular ingredients, DO NOT buy even others tell you that their product is different. This entry was posted on June 4, 2012 by Ashley. It was filed under Shopping, SK-II, Skincare and was tagged with Facial Treatment Cleansing Oil, Facial Treatment Essence, postaday, review, SK-II, skincare. Hi there, I have been googling the price of FTE, but no one comes out on how long will it last. I went to the sk2 booth in parkson, and they gave me a 10ml sample, and i try the product for 2 weeks (sangat kedekut cara penggunaan i ok? hehe) , and i realise there is a difference. I think I am going to purchase the FTE.